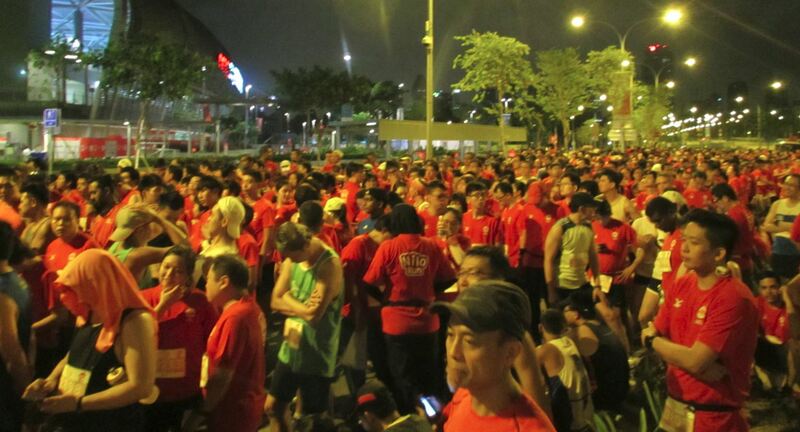 Race Review: Nila Run 2015 (by 'Pushing Forward') | JustRunLah! It’s raining; We are still running! Nila Run: A race that meant to offer runners once in a lifetime opportunity to participate in the 28th SEA Games 2015 activities. Participating runners were expected to experience thrill and excitement of running part of the route of SEA Games elite marathoner. The running community turned up in full force. The route was new and interesting. The road was slippery at some points and that got me thinking about our marathoners. There were ample water stations throughout the route. Running along Tanjong Rhu, I foresee this has to be one of the coolest 10km race for 2015. The rain started pouring 40 minutes after the start. And it gave me a time to reflect on the run. Nila Run, in my opinion, represented each athlete’s hard work and sweat training and qualifying to compete in the SEA Games. Not just the marathoners. Nila Run 2015 provides the perfect opportunity to go through each athlete’s struggle and daily temptations. One can stop or to push on. Today, the running community pushed on. 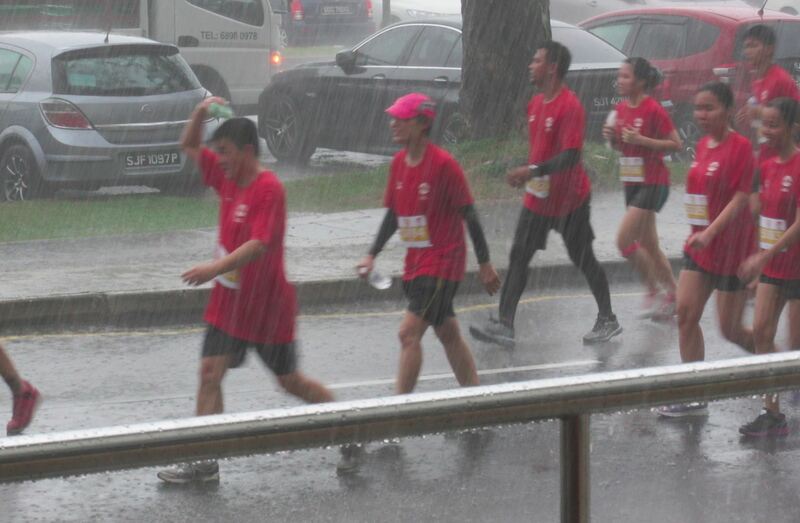 Singapore runners in Nila Run 2015 under heavy rain! Encouraging the runners in the rain; Sportsmanship at its best! When most would dug for shelter due to the heavy downpour. This man stood at the side of the road cheering and encouraging every runner on. Sportsmanship at its best. Thank you Mr.
Congratulations to all participants at Nila Run. Great effort by the running community in the rain. Ample water points? There was only 3 and the first came after 4K which was too far IMO. The 2nd and 3rd were too close together. While many did push on to compete the race, I think a far bigger number choose to take the short cut instead. The distance was also nearly 1K short. So overall this was not a very good race. There were far too many people for some narrow stretches forcing runners to the street, and into the grass on the East Coast. 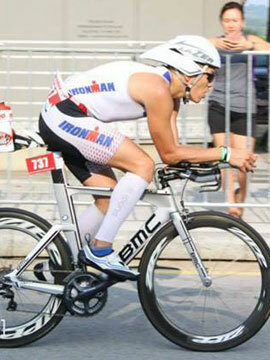 At one point early in the race we came to a complete halt, as if we were waiting at a red light. It is really hard to believe that there were less than 6000 participants. Now, this is really weird, I am in the picture. 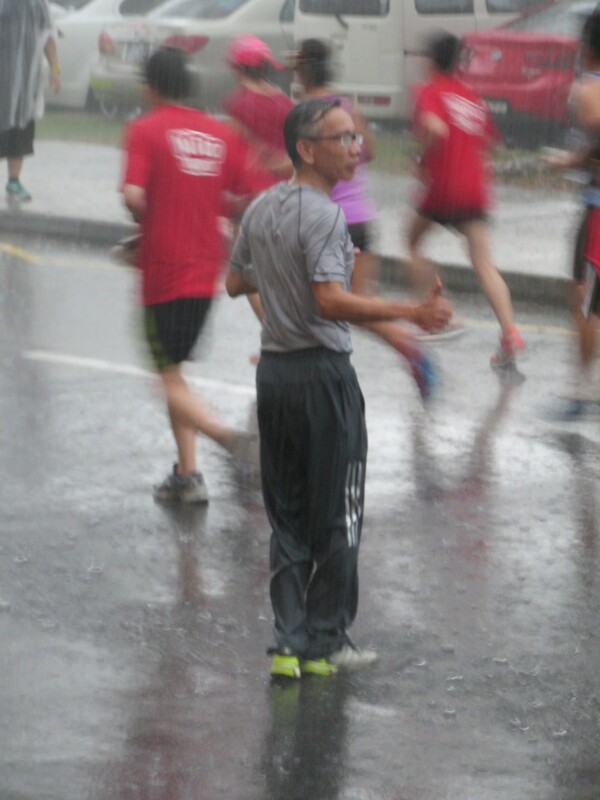 The shot captured me just as I bowed my head to contemplate what if my shoes were to get soaking wet if the rain came down heavy, and you can recognise me because I am wearing the same singlet that I started off the trio of races that I did last week ! Talking of coincidences ! I completed the whole 10 km in the rain !